RVA Street Art Fest This Weekend! 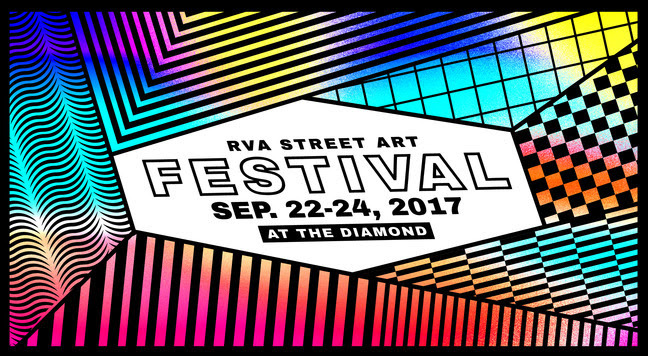 We couldn't be more stoked to once again participate in the RVA Street Art Festival. We will have two big things happening for you to engage with us. On display will be our 733' world record print honoring folks who have been affected by cancer. We created this a year ago with the help of Massey Cancer Center, Studio23, and so many other great members of the community. It will be along the backside of the Diamond. If you have yet to see it, now is your chance. This thing is HUGE! Learn about the projecthere. For our community engagement mural we will be doing pendulum Painting! It's SUPER FUN! Come out and use the lassijous pendulumto paint our wood panels that will be installed onto a wall at the Diamond. We will be at the Fest all weekend long and could uses some more help. If you would like to volunteer with us at the paint pendulum please contact Kevin Orlosky via email.